Every week our 40+ recruitment firm partners across Europe supply the platform with their best talents. To make sure the companies on YBorder are up to our talent's standards, we manually approve each subscription. All our talents have been pre-qualified and their references checked by local recruitment firms. No more wasting your precious time, no more doubts! Sourcing is all about quality! 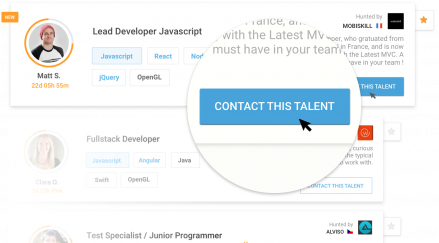 All our talents have individually activated their profiles which means they are waiting for you to get in touch. Expect a quick reply and organise your first interview only moments later. 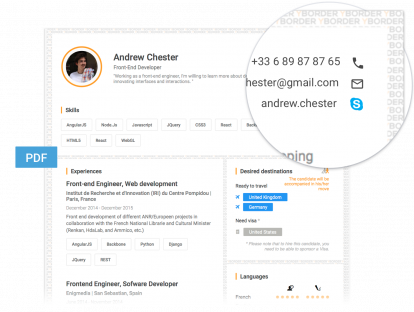 YBorder is a sourcing tool, we do not want to interfere with your way of recruiting. 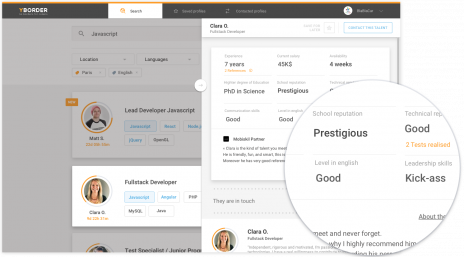 We are compatible with several Applicant Tracking Systems. "YBorder is easy to use, affordable, and enables us to hire high-skilled profiles very quickly"
"On YBorder you meet candidates you can find nowhere else"
"Thanks to YBorder we can meet great tech candidates interested in new opportunities effortlessly "